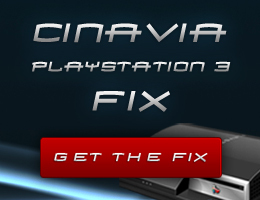 I have traced the Cinavia DRM checks to 4 separate sprx files and after a long time trying to patch these files I have found that 3 of those files are present in the DEBUG (DEX) firmware don't have the Cinavia DRM checks enabled. Files are videoplayer_util sprx, videoplayer_plugin sprx and videoeditor_plugin sprx. I have successfully copied these 3 sprx files from DEBUG (DEX) FW 341 over to my retail PS3 unit running OFW 341 using dev_blind and Cinavia seems to be now disabled. I've confirmed this by playing back a number of Cinavia affected video files. I have created a new task for PS3MFW so this can be easily made part of any new MFW's as needed. Any FW version that has had the DEX firmware leaked should be able to be used to create a CFW of the same version. eg DEX 3.41 -> MFW 341 or DEX 355 -> MFW 355 etc etc. Don't use sprx files from different FW versions! See git hacks for change_cinavia_files task source. Big thanks to the KaKaRoTo and REBUG team for their community contributions as this would have never been possible without the knowledge they've shared with us.